Most of us don’t put much thought into buying a pencil sharpener. But if you’re into coloring, you’ll find that those sharpeners you’ve been using for your graphite pencils just don’t cut it. They may even chew up your pricy colored pencils and spit them out! With all the time and work you put into your favorite coloring books, you want to give yourself the best results. 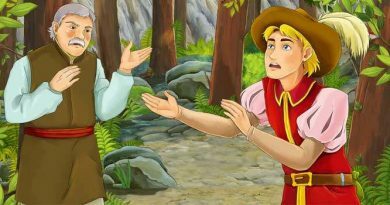 Just like you get the best colored pencils for your adult coloring books that you can, it’s good to get the very best colored pencil sharpener for you as an artist–and it can be super affordable. 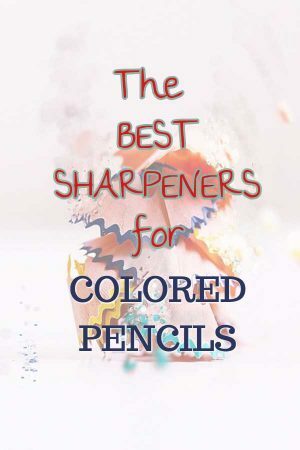 We’ve compiled this list of the best sharpeners for colored pencils to guide you into getting the perfect point for any budget. Colored pencils have cores made of wax or oils, as well as other binders. Some of these cores are quite soft. Different pigments and different brands are made differently, and woods used in the outer casing vary too. The width and shape of colored pencils can also vary. The best colored pencil sharpeners are ones that don’t break or “eat” your pencils. They let you adjust the point to suit your needs, and sharpen cleanly, without leaving marks or residue. This table shows our top picks from each category of handheld, crank, and electric sharpeners. The most portable and least costly type of sharpener is the small, manual handheld sharpener, also called prism or pocket sharpener, that you can carry around. To sharpen colored pencils using a handheld sharpener, you should hold the pencil in one hand and the sharpener in the other and turn the sharpener rather than the pencil. Some handheld sharpeners have a reservoir that holds shavings and some don’t. If they don’t, we suggest you sharpen over a wastebasket. Pencil shavings can be messy, and if you’re not careful in brushing them away, they can even get pigment onto paper they fall onto. Manual sharpeners require some effort. If you’re working with a lot of pencils, keeping them all sharp can be time-consuming. Manual hand-crank sharpeners (also called cylindrical or planetary sharpeners) are the kind you used in school, where you insert the pencil tip into a hole and turn a crank. Some have helical blades. Hand-cranked sharpeners often require clamping them to a desk, so they are less portable. Hand-cranked sharpeners offer a medium between handheld and electric, giving you a good amount of control while being faster, and requiring less effort, than a handheld. And, unlike with electric, you don’t need a power source. An electric sharpener is the easiest and fastest to use. But it’s easy to oversharpen pencils if you don’t take the pencil out right on time. Some models have auto-stops to avoid this issue. Electric sharpeners can be battery-operated or plug into a wall. Some have a USB power option. Some colorists prefer to not use regular pencil sharpeners, but other implements instead. Some an X-acto knife or sandpaper, to get total control over their pencil points. Others use a cosmetics sharpener made for makeup. Some colorists feel that manual handheld sharpeners are the best sharpeners for colored pencils. Crank-style and electric sharpeners can “vibrate” pencils, causing the core to loosen from the casing. 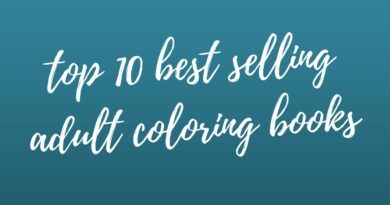 After doing careful research and listening to what seasoned colorists have to say, we’re confident that the crank-style and electric sharpeners on this list do a great job while keeping your pencils safe. Notice there are not a whole lot of electric or hand-crank models loved by colorists; this list does mainly have manual handheld sharpeners. What separates a great pencil sharpener from an ordinary one are high precision and reduced breakage. Now, let’s get to the “point”: here are our reviews of the best sharpeners for colored pencils. To check prices and read more reviews, simply click on the images. The Derwent is a popular manual hand-crank sharpener that people often rave about. It works on both colored and regular graphite pencils up to a hefty 8mm in diameter. Most sharpeners do not accommodate thicker pencils, but this one does. It even works well with charcoal and pastel pencils. With just a few cranks, your pencils will be super sharp. It also makes easy work of sharpening brand-new, never-before-sharpened pencils. The Derwent Super Point sharpens colored pencils to a fine, long tip that’s ideal if your artwork requires intricate details. And the pencil-shavings reservoir is easy to remove. Another advantage is the entire sharpening apparatus can be detached, so if a pencil tip happens to get caught, you will be able to get it out. The Super Point comes with a clamp, and it’s a good idea to use it, though several reviewers stated they simply hold the sharpener in their hand. This is our pick for the best-quality manual hand-cranked pencil sharpener for colored pencils. On the downside, the sharpener has its detractors. Some people reported issues with oversharpening, leaving marks on pencils, and nonworking clamps. The Westcott iPoint Orbit is a small electric sharpener that is made to work with colored pencils. Most will fit, though it does not take larger-size ones such as the Koh-i-Noor FX. This sharpener does well with cores that break easily in other sharpeners. It has a sensor that shuts it down automatically when your pencil is ready, avoiding the oversharpening issue that plagues some electric sharpeners. The Westcott’s blades are non-stick to resist buildup from pencil wax and oils. They’re also titanium-bonded to stay sharper longer (up to 5x longer than non-bonded, according to the company). It delivers a nice sharp point with little chance of breakage. We think it’s a top electric sharpener for colored pencils. The Kutsuwa STAD T’GAAL sharpener is versatile, working well with both hard and soft leads. It’s one of the best pencil sharpeners for colored pencils for a good many reasons. You can turn the dial to five settings and adjust the angle according to how long you want the pencil tip to be. For colored pencils, many prefer with a shorter tip, though, as it’s less prone to breaking. However, if you want it to last a little bit longer, set the dial for a longer tip. When you are done sharpening, close the shutter to trap the pencil shavings inside. A higher angle exposes more lead, leading to a longer, but more breakable point. Eighty degrees is considered a high angle. Seventy-five degree sharpening will get you a shorter, less sharp, but sturdier point. The blade dulls quickly, and the build quality could be better, but it’s quite affordable. For soft-core pencils, the Staedtler Metal Sharpener is one of the better choices. It’s also very portable; you can slip it into your pencil case for travel. There are two holes in each sharpener that help you get the tip length you need, whether shorter or longer. Some users have complained that their pencils get mangled while using this sharpener. However, this issue might not be across the board. AS2M (1053121), Long Point Sharpener, sharpens in two steps; two spare blades includes. With lead pointers for 2 mm and 3.2 mm. The KUM AS2M is a manual, handheld, two-stage pencil sharpener from German company KUM. You start in the hole marked “1” to take off the wood casing, then continue to hole 2 to sharpen the lead. You can then get a super-sharp point. This sharpener takes a bit of a learning curve, but this two-step process can be very effective if you’re picky and want a lot of control over both your pencil casing and point. Why is it called automatic, when it’s a manual sharpener? Because Hole 1 has a stopper that will automatically “brake” your sharpening once you’re done with that stage and are ready to move on to Hole 2. The lead pointer (the part that sharpens) fits most colored pencils. The KUM comes with two extra blades. We like that it has replaceable blades, and the two-step process works great once you get used to it. On the downside, the hinge that opens the reservoir is a bit flimsy, and it can be hard to see what you’re doing in Step 1 because the pencil shavings get in the way of your view. This handheld manual sharpener works especially well with Prismacolor pencils (Prismas, for short), but you can use it with any brand you wish. It boasts two separate blades. You can use one for a finer tip and the other for a medium point. 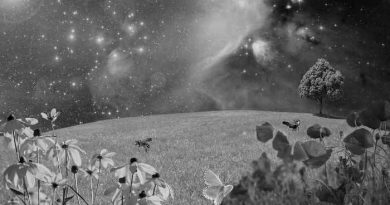 The finer point is best if you are doing artwork that requires fine detail. The Prismacolor Premier Pencil Sharpener’s body is translucent, which will help you keep track of when it’s time to empty the shavings. On the downside, the body is made of plastic and might not last very long. So getting a 2-pack is a good idea. This is a super economical pencil sharpener with a very basic design. But don’t be fooled; this works great on colored pencils. It is handheld and portable. We would suggest this one for medium tips and not for finer lengths. This is super easy on the wallet and takes up little space. You can just put it in your pocket. It doesn’t, however, provide separate holes for shorter and longer tips. 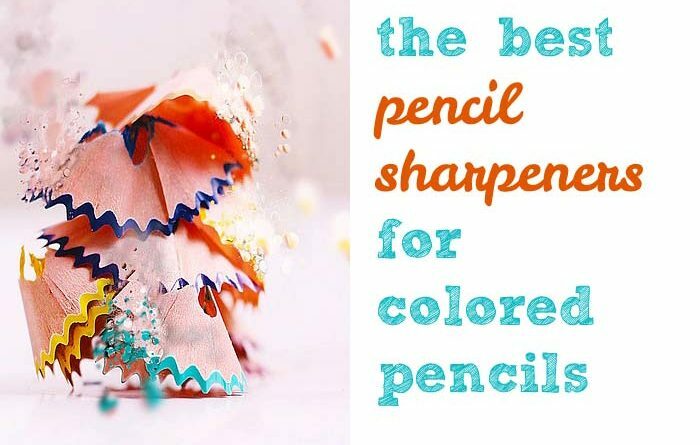 As easy as it may sound (or perhaps after reading the above, it no longer sounds easy), buying the best sharpener for colored pencils is not that simple. The perfectionist within us needs to consider various features. Some pencils work better with a long tip and some with a shorter one. For instance, a pencil with a soft lead should not be sharpened to a long tip, as it’s likely to break. As well, you may have various needs and preferences in your own work. Consider whether your sharpener offers what you need. When buying a sharpener, we suggest you invest in a high-quality one. Lower-quality sharpeners often remove too much of the outer pencil casing along with the core. This means that you are wasting more of the pencil than you are using. As you can see by our reviews, a great sharpener can be very easy on the wallet. Another important consideration is the sharpening angle. The higher the angle of the sharpener, the more lead is exposed, leading to a longer, tapered, sharper point. Eighty degrees is a high angle. But a small change, such as to 75 degrees, makes a big difference, with less lead exposure. With lower angles, the sharpness won’t last as long, but the pencil point will be less likely to break. Last but not least, with a good sharpener, the sharpness ought to last a while with before you need to use the sharpener again. Now, go forth and stay sharp!